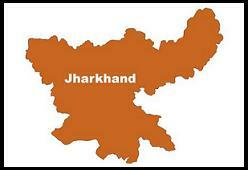 18 May : Ending a three-week long political impasse in Jharkhand, the BJP and JMM have reached an agreement on sharing power on rotational basis with a BJP-led government to take over within a week. 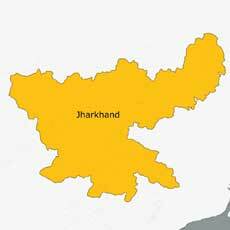 “We have decided that BJP and JMM will share power for 28 months each with the BJP taking over in the first phase,” Chief Minister Shibu Soren and BJP’s chief ministerial candidate Arjun Munda told a joint press conference in Ranchi after a meeting of the coalition partners. Asked when he would step down as chief minister, Soren replied “very soon” without giving a date. The BJP and AJSU leaders, however, claimed the powershift would take place on 25th May. “Both Soren’s resignation and Munda staking claim may take place on 25th May simultaneously,” a senior AJSU leader and a national BJP leader said. BJP had announced its decision to withdraw support to the Shibu Soren government on 28th April after the JMM chief voted against the BJP-sponsored cut-motions in the Lok Sabha. However, after Soren’s son Hemant made an offer to BJP to head the government in the state, the BJP revoked its decision but a tussle ensued on the power-sharing formula.